Paris has a number of remarkable modern structures, many of which enjoy worldwide acclaim. Yet, unbeknownst to most travelers, there is a building near Paris that many architectural writers consider to be the most significant in the history of modern architecture. 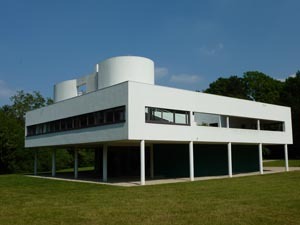 In this month's Paris Insights we take a look at the Villa Savoye, built by famed architect Le Corbusier.